Every hobby has seasons. Whether you are a golfer, a gardener, a skier or a motorcyclist. With said ‘seasons’ there is always down time. And very good there is ‘downtime’ because if not for the down time, when would we all have the opportunity to take stock of what we have in the form of gear? 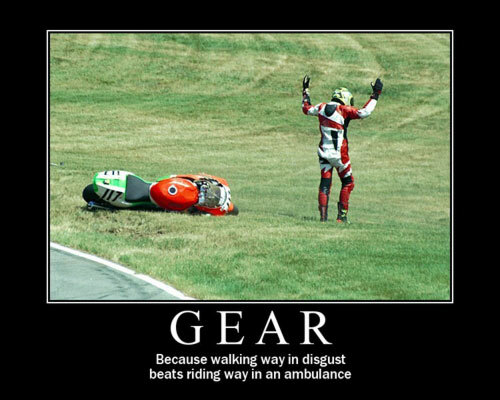 As a motorcyclist, I find that gear is far more important than some riders let on. Yes, there will always be those riders who place more emphasis on style than on safety – and that is all well and good for them. I believe that each rider has to make up their own minds on how safe they want to be, how they want to ride and what level of safety they feel the most comfortable because really, when it gets down to it – the world does need more organ donors. January is the time I take inventory of my riding closet. I this that is based on the arrival of the Motorcycle shows as well as the new year and realization that riding season is creeping closer and closer. (Insert hooting, hollering, jumping up and down for joy here) At the beginning of the year I go through each piece of my gear and decide whether to replace or repair. And if I opt for repair, where is the quality workman who can work well with leather and do a good job? In the past, sometimes when having repairs done I’ve been able to take said leather pieces to the owners of tack shops because, hey… horse riders gear is mostly leather and the craftsman who deal with them have to be good at their trade. Or I’ve lucked in to finding the name of a person who does good work and who I don’t have to travel a long distance to get them my gear and worry about whether it’s going to be returned to me in time for riding season. Some people place a lot of stock in their gear – more stock in their gear than in their riding abilities.. but that is stuff for another post. The one big thing I have a bit of an issue with is the lack of good, safe, stylish women’s riding gear. 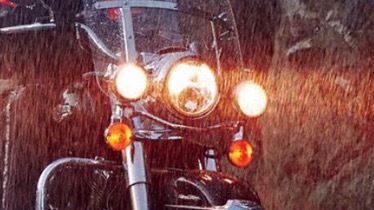 I hate to admit this but for the longest time I wore HD gear (even when I didn’t ride one) because I couldn’t find good quality women’s gear that fit me. Unfortunately, the price was rather prohibitive. So I’d shark for sales and end of season clearances. I have some choice pieces that I rely on. For example: a) My Belstaff full leather jacket for winter with my Joe Rocket textile for summer b) Leather chaps with fringes (for wicking away rivulets of water that try and make it to my crotch) c) River Rock boots with a lift (I’m only 5′ 2″ ya know) c) Helmet by HJC (I prefer a flip up chin full face with a mirrored visor – that way I get to lip people off without them seeing) d)gauntlet gloves (because one wasp up the sleeve is more than enough. I like the thinsulate for winter and the thin leather for summer.) e)neck cloth (cloth to protect from bug strikes and wind burn – or the neoprene for winter) f) cooling rag (one of those with the gel beads in it to cool off on the really hot days) f) vest (for that added layer of protection – and the pockets). I realize it’s a bit of a hodge-podge of brands, but I’ve found what I like the best and it works for me. This is just a list of my essential pieces.